We all know that protecting your head is of great importance. We also know that climbing can be dangerous, especially outdoors. So why is it that so many rock climbers climb without wearing a helmet? There are many excuses that people make, and the ones that we hear the most is that they are bulky and too heavy. That may have been true for years but recent innovation has produced some really great lightweight headpieces that don’t weigh down your head and don’t get in the way as much. 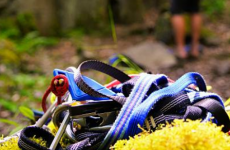 What is the best helmet for rock climbing? 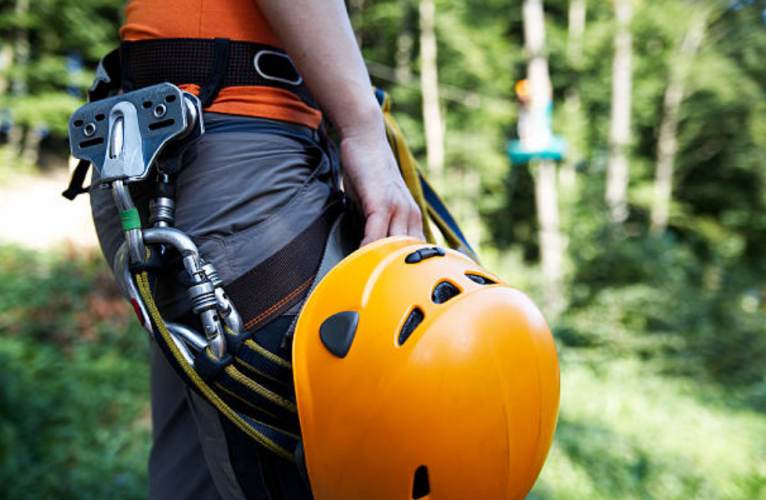 There are many great rock climbing helmets that all offer a good fit, light weight, certified protection, and a cool modern look. We chose our favorites by finding the most comfortable helmets that you can forget about once you put it on. The Camp USA Speed 2.0 Helmet is lightweight, full-coverage, and well-ventilated. It was designed for competitive ski-mountaineering and climbing, and this shows in how popular it is with climbers in all areas. The Camp USA Speed 2.0 Helmet is an extremely lightweight, full-protection helmet, with a fully encased outer shell, and it still weighs only 9.5 ounces. It has a simple dial adjustment on the back to fit it properly to your head, and an adjustable chin strap with excellent padding. Once you’ve found the perfect fit, you will barely even notice that it’s on your head. The 22 ventilation holes around the side and the back of this helmet let the air flow freely which is great for really hot days outdoors. Despite being so lightweight, the Camp USA Speed 2.0 Helmet has a full polycarbonate shell surrounding thick styrofoam impact protection, and it is UIAA and EN certified for rock climbing. 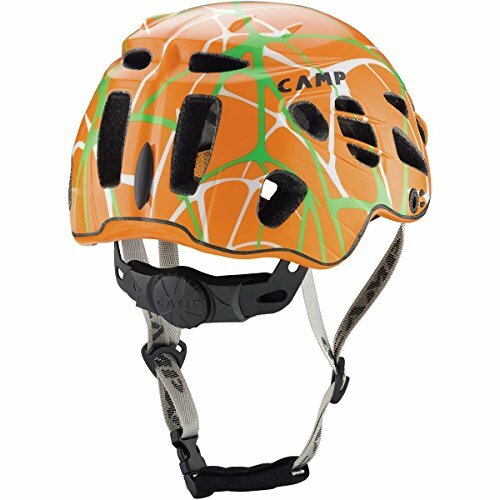 There are 3 different color options available (white, green, and orange) for the Camp USA Speed 2.0 Helment. They all have the same pattern. The colors and the design are bright, bold, and modern. 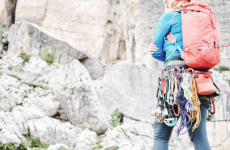 The Petzl Sirocco is a revolutionary design making a featherlight helmet certified for rock climbing, that won’t weigh you down. 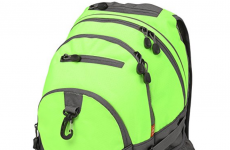 It is made out of flexible polypropylene that bounces right back into place after if it is weighted down. 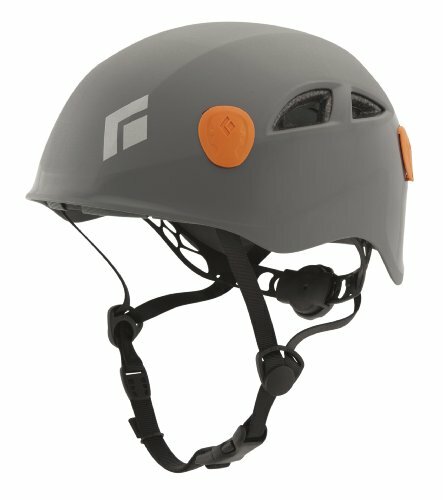 The Petzl Sirocco is a featherlight comfortable foam shell, and one of the lightest helmets available at only 5.8 ounces. The fully adjustable headband and chinstrap are extremely thin and lightweight as well. The Petzl patented magnetic buckle makes it easy to get on and off, even with one hand. It is available in 2 different sizes (fitting a 48-58cm head circumference, and fitting a 53-61 cm head circumference) to ensure the best fit for your head size. This helmet has very wide holes for excellent ventilation. It keeps the air flowing, and the material stays dry and does not allow for a build-up of bacteria causing odors. Even though there is no hard plastic shell, the foam is quite thick, especially at the top to provide maximum protection. 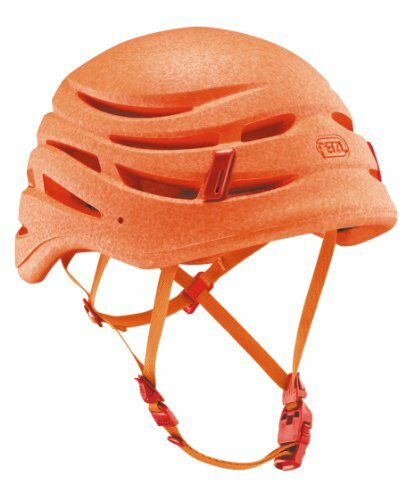 While some climbers will have a hard time trusting the lack of a hard plastic shell protecting the foam, this helmet is fully CE and UIAA certified for rock climbing. This helmet is available only in bright orange, which is great for visibility, but unpopular with some people for aesthetic reasons. The Black Diamond Vapor is another ultra-light rock climbing helmet option with thinner foam than most of the others. It sits nice and low on your head, has very little bulk, and it looks great. Its unique construction gives this helmet full coverage and protection and still keeps the weight down to 6.6 ounces . The nicest thing about the design of this helmet is its low profile on your head. It has a very comfortable fit, and comes in 2 different sizes (fitting a 53-59 cm head circumference and fitting a 58-63 cm head circumference). The adjustment system at the back allows you to fit it perfectly and easily. The entire back of the helmet has large vents, letting air flow and escape nicely, without compromising protection. This helmet keeps your head cool even in the hottest weather. 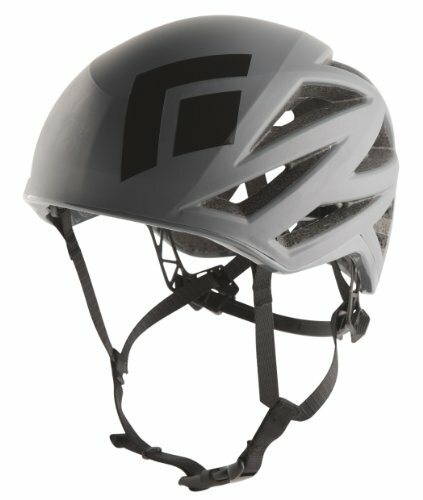 The unique protection system inside this helmet is a series of lightweight carbon rods that give it crush resistance, and it is CE certified. The protective shell is durable but easy to dent. Its great appearance makes it one of the best looking rock climbing helmets, including how it fits. It is available in red, white, green, and grey. 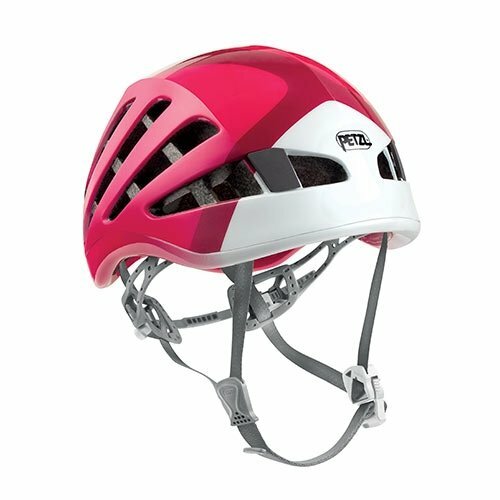 The Petzl Meteor is a popular helmet for climbers due to its lightweight design, full protective shell, and unique fit that sits very close to your head. The Petzl Meteor has a a similar full-coverage design to the Sirocco, but with a protective polycarbonate shell, and still manages to keep the weight down to only 7.8 ounces . The headband is soft, fully adjustable and the straps are thin and light. It is easy to get the right fit with the adjustment system. This helmet also has a magnetic buckle on the chin-strap. This helmet has ample ventilation holes, and does a good job of letting the air flow and keeping your head cool. This helmet is fully UIAA certified, and it looks and feels durable as well. The Petzl Meteor is available in unique colors that are bright and bold. The options are raspberry, turquoise and blue. The Black Diamond Half Dome is probably the most durable of the lightweight climbing helmets available. It is also very reasonably priced, and great all-around climbing helmet. While it is not the most lightweight climbing helmet, it manages to have a sturdy design and still weigh only 11.3 ounces . It has a wheel-based adjustment system, which makes it easy to fine-tune and get the perfect fit. There are ventilation holes in this helmet, but this helmet is designed to be durable at the expense of being best for hot climates. The foam material is good at not absorbing moisture though, and it will keep your head relatively dry. We can’t say enough about the superior protection offered by this helmet. If you’re looking for the most durable helmet for rock-fall, you will feel safe and protected. It has a classic look, not as modern as some of the other models, but is available in many different colors.